HomeExertion Games LabExertion Games Lab wins 2 more prizes! Exertion Games Lab wins 2 more prizes! 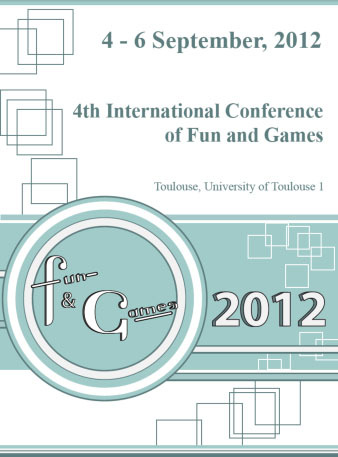 The Exertion Games Lab won both the Student Games Design Competition Award as well as the Audience Award at the ACM supported research conference “Fun and Games” 2012 in France! Chad Toprak and Josh Platt won the Student Games Competition Award with Bubble Popper, and Chet De Mel, Amy Huggard and Jayden Garner won the Audience Award with Musical Embrace. The latter win is particularly remarkable as Fun and Games is a research conference and the three winners have not even started their postgraduate degree yet. Also, Chad Toprak and Josh Platt did a very engaging presentation of their paper at the conference. Congratulations, in particular to those who helped with the development of the games back in Melbourne: Alan Chatham, Wouter Walmink, Eberhard Graether, Andrew Lewis, Hsin Yang Ho, Eric Dittloff, Sevcan Ali, Daniel Beilharz, Luke Dominic-Butterworth, Paco Casares and Nicolas Hower.